It takes a lot to be both New York City’s most photographed landmark and Apple’s most beautiful retail store. It’s rare that a shop can genuinely be said to take your breath away, but in the case of New York’s Fifth Avenue Apple Store, it lives up to its reputation — and then some. A big glass box with a glass elevator in the middle, as well as a see-through staircase, complete with wrap-around glass banister, it’s a little bit like Apple’s long-forgotten (but spectacular) Power Mac G4 Cube — only so big that you can shop in it. 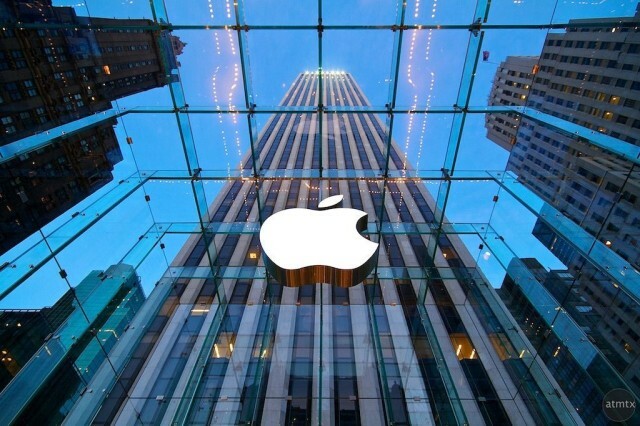 Grossing more than any other store in New York, and making more dosh per square foot than any other store in the world, exactly eight years after it opened its doors, Apple’s flagship retail store has become an iconic part of the New York landscape. And like a lot of the best Apple products, it owes it all to Steve Jobs. “It was really Steve’s store,” is how Ron Johnson, Apple’s former senior Vice President of Retail once described the Fifth Avenue Apple Store. Steve Jobs may have been Cupertino through and through, but he knew that New Yorkers love high design, and that a city already chock full of iconic imagery needs something extra special to stand out. In a city known as the Big Apple, why not have the metaphorical Biggest Apple of them all? These days we’re so used to seeing Apple Stores in top locations that it’s difficult to remember that it was once viewed as counter intuitive to sell the kinds of expensive products that people don’t buy every day (like cars or computers) on land that carried a high price. But while Apple ignored conventional wisdom by plumping for prime real estate for its flagship NY store, that’s not to say there weren’t challenges in bringing the idea to life. For architects Bohlin Cywinski Jackson (who also once designed a massive Seattle home for Bill Gates), the brief for the store concerned not just convincing people to shop underground, underneath the nearby plaza where there was enough space for Apple to have its enormous Genius Bar, but just plain getting them to stop in a part of New York that’s hardly short of things to see and do. For the architects behind the Fifth Avenue Apple Store, both problems could be solved by one solution: creating a section above ground so enthralling people would feel compelled to investigate. It’s a classic example of the Jobsian belief in functional form: that good design isn’t just about how something looks, but how it works. And the Fifth Avenue Apple Store worked. Among the celebrities who turned up shortly after its grand opening were actors, musicians, movie directors and TV personalities including Kevin Bacon, Beyoncé, Kanye West, Spike Lee and Dave Chappelle — along with more than a dozen others. What followed were the throngs of Apple fans — whose appreciation of this cathedral of Apple Stores sometimes went to extremes. Proof of this came in early 2010 when former Apple employee Mark Burstiner rescued a broken glass stair belonging to the store and put it up on eBay — with bids eventually passing $9,500. Like any religious monument worth its salt, the store has also been subject to the occasional act of god — such as the occasions it’s began leaking, or the spectacular time one of its panes of glass was shattered by a snowblower, when the East Coast was being pulverized by a major snowstorm. Perhaps the biggest controversy, and certainly the biggest change, since the grand 2006 opening has been its 2011 redesign. Improvements in the glass manufacturing process — led largely by Apple, which built its own autoclaves — opened up the possibility of paring down the 90 panes in the original iteration of the store to just fifteen. (Steve Jobs wanted just four, but backed down when he realized this would mean shaving a foot off the size of the building.) The redesign eliminated the architectural cruft needed to support the glass panes, resulting in a simpler, more “seamless” design. Jobs, though, stuck by his vision. A design with less panes of glass not only pushed the envelope in terms of what was technologically possible, but was also a simpler, more elegant solution. 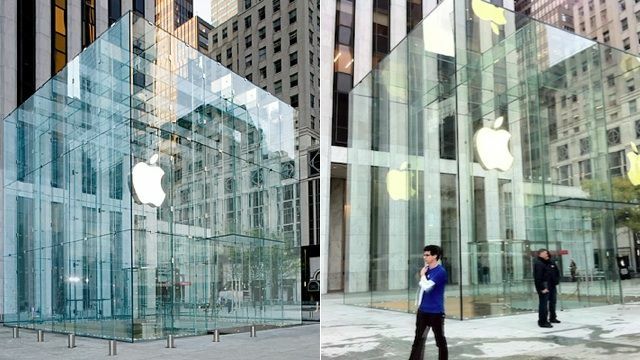 Before and after: A 2011 redesign pared down the number of panes of glass in Apple’s Fifth Avenue store from 90 to 15. Speaking personally, I actually preferred the original design, although I accept that I’m very much in a minority. The original resembled a diamond, and it was its various facets which made it spectacular. But regardless, the Fifth Avenue store is still among the most impressive retail stores you’ll see anywhere — and definitely one of a very, very short list of shops likely to be included when people talk about great architecture. It symbolizes not just the design aesthetic of Steve Jobs, but also a point in history before the iPhone and iPad, when Apple was just asserting itself as the world-straddling giant that it is today. 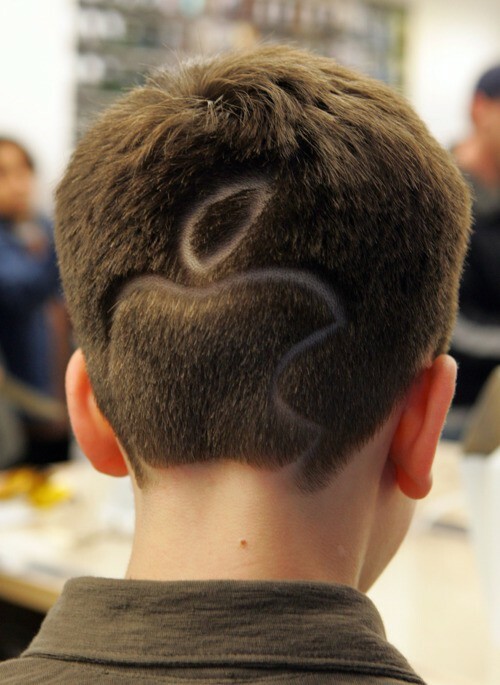 A lot has changed about Apple in the years since. Jobs isn’t with us any more, for one thing. There are also other impressive Apple Stores (including ones which owe a design debt of gratitude to the Fifth Avenue Store), while Apple is pushing harder than ever into Internet sales — and managing to do so very effectively. However it was also a very prescient Apple Store, because it prefigured a bold expansion for Apple, and a penchant for attention-grabbing design, that has continued unabated in the years since. “We wouldn’t do [this] in Palo Alto, but this is New York,” Jobs commented about the Fifth Avenue store around the time that it opened. But it’s difficult not to look at the expanse of glass that will make up for the forthcoming Apple Campus 2 (roughly eight miles from Palo Alto) and see more than a shade of the same design aesthetic. Indeed, the Fifth Avenue Apple Store today is as relevant to Apple today as it’s ever been. Now if only the company could find some way of stopping people leaving their greasy fingerprints all over its beautiful glass walls.